Energy Star: Why Not Museums? This entry was posted in Uncategorized and tagged Buildings, Energy Star, Museums on March 27, 2014 by Kirstie Fan. Since 2012, New York City government passed Local Law 84, a game-changing legislation for the industry. Under LL84, every building over 50,000 sqft was required to be benchmarked under the Energy Star rating system. Additionally, this information would be made publically accessible for anyone to see, from government officials, to business owners, and average citizens. This legislation has already transformed the building industry in New York City, and soon the world. Ever since the passing of this law, building owners have taken notable initiative to improve operational practices, such as retrofitting existing equipment, hiring sustainability managers, and overall including sustainability on their corporate agenda. The reason that Energy Star has not directed it’s research efforts to develop an methodology to analyze museum efficiency, since museums in general have great variability in their size, function, and internal systems, making it difficult to compare one space to another. Additionally, developing an Energy Star systems for museums would require a large dataset of museum energy consumption to be determine how museums rank against each other. Just like residential and commercial buildings are benchmarked against their own type, museums need to be compared to others of the same size and geographical region in order to gain effective perspective on how they should be performing. Enough museums need to volunteer to have a set of buildings for benchmarking in order for this method to be comprehensive an effective, a time-consuming research endeavor for all parties. Additionally, this dearth of museum regulation has been greatly influenced by the strict conditions that must be maintained with specific levels of lighting, temperature, and humidity to preserve artwork’s inherent qualities and prevent deterioration. The monumental importance of artwork preservation has influenced museums to take incredibly cautious approaches to their internal systems. There are two primary ways that museums can be environmentally friendly: efficiency of internal systems and how effectively they are operated. Arguably the most sensitive of these systems is lighting. For certain types of art materials, the presence of wide-range UV rays can degrade a work’s surface texture. This protection is important especially for paintings, since traditional paint pigments generally derive their color from organic materials such as plants and minerals, which can oxidize and fade under standard lighting conditions. Phillips SlimStyle LED Bulb, in stores January 2014. However this day in age, there continues to be constant innovation in lighting across all sectors. For instance just several months ago, Philips released The Slimstyle, the first “pancake-shaped” LED light bulb. By flattening the bulb significantly reduces superfluous heat loss, resulting in lighting that is up to 20 times more effective than traditional incandescent bulbs. Furthermore, the prices for LEDs which have long had a reputation for being significantly more expensive than it’s alternatives (typically $20 each LED bulb compared to approx. $1-2 for an incandescent and $2-4 for a CFL bulb). However in the past year many local governments such as those of New York, New Jersey, and California have paved the way of environmental stewardship by subsidizing energy efficient lighting, making innovations such as LEDs affordable and easily accessible. Next in importance comes Heating, Ventilation, and Air Conditioning (HVAC) systems. These systems control the inside environment of museums, which includes moderating temperature, humidity, pollutants, and even CO2 levels. In order to ensure the preservation of each museum’s unique collections, these HVAC systems operate 24/7 and have historically required system redundancies. However even this seemly unsurmoutable obstacle has been solved in the recent year. Di-Boss Total Property Optimization developed by Columbia University, Selex-ES, and Rudin Management has created the first ever building management system (BMS) agonistic to nearly all types of commercial buildings. The software uses predictive machine-learning technology to anticipate the building’s environment based on historical weather forecasts that way. If museums were to adapt this type of software based solution to hardware redundancy, museums would be able to eliminate unnecessary energy use and improve their carbon footprint, while maintaining the integrity of the art works. This entry was posted in Uncategorized and tagged Energy Efficiency, Energy Star, Museums on March 27, 2014 by Kirstie Fan. Across the global landscape of energy consumption, buildings ranging from single-family homes to corporate sky scrapers dominate as the most energy intensive sector. In New York City alone, buildings account for nearly 80% of the city’s carbon emissions. For this reason, communities across the globe are racing to improve their building designs to cut energy consumption—and they are doing so by looking at and learning from leaders in sustainable design. In the U.S., buildings are generally rated on their sustainability using two classification methodologies—the LEED and Energy Star Rating Systems. The LEED cetification program developed by the US Green Building Council grades buildings on their sustainability potential by examining the efficiency of the building’s systems and infrastructure, granting medals in different levels including general certification, silver, gold, and platinum. On the other hand, the Energy Star Program was developed by the EPA benchmarks buildings based on how each building consumes energy (also known as operational efficiency) and rates each building with a score between 1 to 100. For it’s ability to quantify energy efficiency across the board, Energy Star has been the primary benchmarking tool by most including New York City local government, which passed Local Law 87 which required all buildings over 50,000 sqft in NYC to be benchmarked with a Energy Star Rating & it’s data made available to the public. However as of today, Energy Star only included a limited demographic of building-type such as commercial, residential, and institutional buildings. 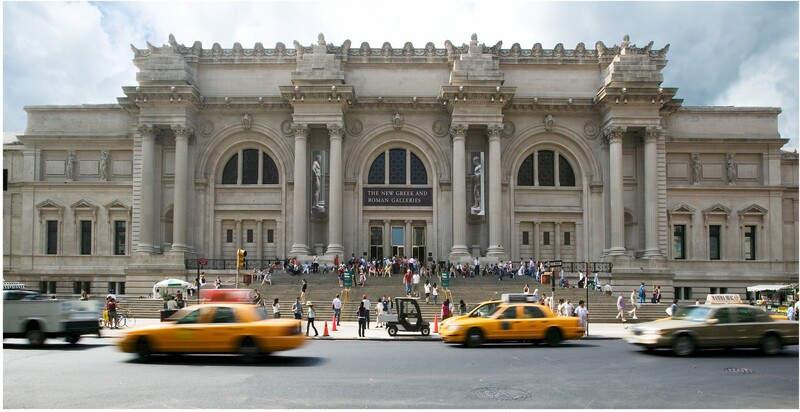 Museums and art galleries do not qualify for Energy Star evaluation, which has significantly obstructed energy efficiency growth in the museum sphere. Furthermore, the lack of legislation pressure and indifference of museum decisionmakers has stagnated major infrastructural change to the ways museums are operated through the years, missing opportunities to significantly reduce energy consumption in the spaces and make the best of the millions of dollars spent developing the U.S. art scene each year. Without the availability of comparison data and transparency in energy efficient operating practices, museum’s practices for operating their buildings have remained isolated and kept from the larger buildings community, hindering potential for efficiency improvement within this demographic of commercial buildings. Facilities managers and operators of large art museum spaces have no option but to operate these spaces based on their best guesses, missing out on opportunities for emissions and financial reductions through collaborating with facilities operators in similar spaces. This blog series will explore the overall importance of building efficiency in general and how art museum spaces have been an overlooked demographic of building efficiency. First, we’ll identify the identify the systems within these spaces that have potential become more efficient, and how the optimization of these systems may be hindered by spatial requirements and artwork preservation. From there, we’ll look at case studies various museums across the world as well as an exclusive with the Museum of Modern Art (MoMA). In the final part, we’ll bring everything together by discussing sustainability innovation in the global art museum community as well as the existing climate of efficiency legislation for museum buildings.